The Twister Flash Drive has a metal sleeve over a soft touch rubber coated plastic body. The rotating sleeve protects the USB plug, eliminating the need for a lid and has a sublimatable white metal insert. Available from UK stock and with the MOQ as little as 5 pieces this is sure to make a superb gift or promotion. 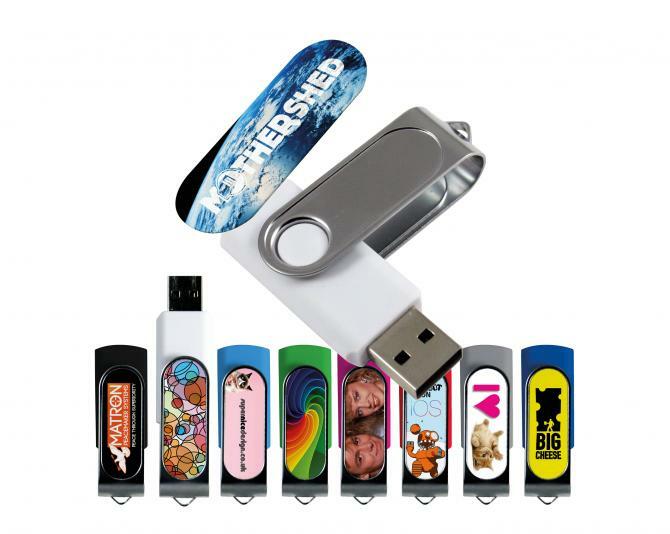 The Twister Flash Drive comes in 1GB, 2GB, 4GB and 8GB memory sizes with a choice of 8 different body colours and options for printing one or both sides.